You've probably heard a lot about the health benefits that come with a diet high in whole grains and fiber. But did you know that most children today aren't getting the fiber they need? According to the 2010 Dietary Guidelines for Americans, fiber is one of four nutrients of concern in the American diet. That's why it's so important that you provide a balanced diet rich in nutrients — including fiber. Be sure to offer your children a variety of foods from each food group at every meal, including a variety of fiber-containing foods like whole grains, fruits, veggies, and legumes (dry beans and peas). why is fiber important for children? Fiber plays an important role in supporting a healthy digestive system, and it helps keep the body's system clean and running smoothly. Foods that are high in fiber also have the added benefit of being filling, which can help discourage overeating. 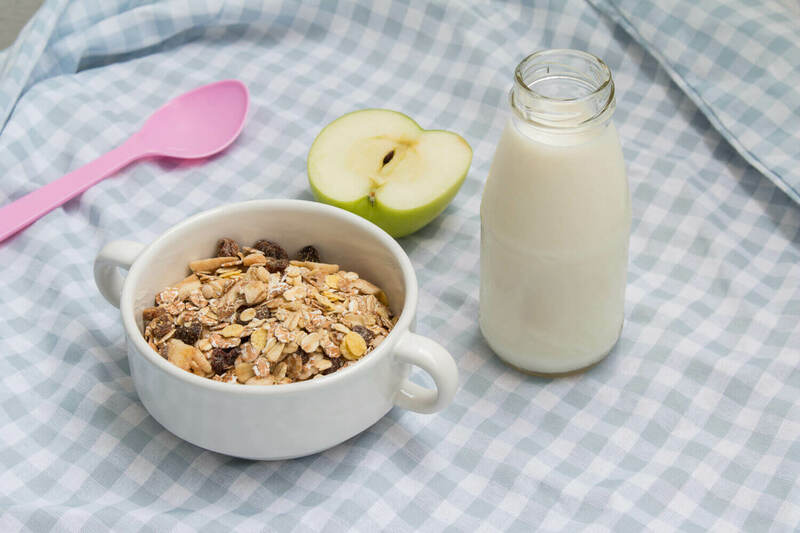 Plus, when combined with ample fluid intake, fiber helps move food through the digestive system and might reduce the risk of certain cancers, diabetes, heart disease, and digestive disorders. A high-fiber food has 5 grams or more of fiber per serving, and a good source of fiber is one that provides 3 grams per serving. According to the National Fiber Council, most children get half or less of the recommended daily amount of fiber. If you're already adding whole grains, fruits, and veggies to your children' diets, you’re on the right track — but you’ve also probably run into some challenges. Here are some ways you can incorporate more fiber into their diets. Choose whole grain breads, bagels, and tortillas as opposed to the white variety. Pick cereals that list whole wheat or oats at the top of the ingredients list and contain at least 3 grams of fiber per serving. Go for fiber-filled brown or wild rice instead of white rice, and mix in some veggies or beans. For a fiber-rich dinner, serve whole wheat pasta or quinoa, and toss some veggies into the sauce. Always choose whole fruit over canned fruit. Canned fruit is usually peeled, has less fiber, and might contain added sugar. Top ice cream, frozen yogurt, or regular yogurt with whole-grain cereal, berries, or almonds for some extra nutrition. When serving fruits like apples or pears, leave the skin on. That’s where the fiber is. Choose oven-baked potato wedges with the skins over regular French fries. This picky eater recipe for Spicy Sweet Potato Fries is great as a side dish.